Electric lighting consumes up to 25% of the average home energy budget. CFL bulbs use about 50-80% less energy than standard incandescent bulbs making them an efficient way to replace old bulbs and start saving money on your power bill. Although initially more expensive, you save money in the long run because these energy-saving light bulbs use 1/3 the energy and last up to 10 times as long as incandescence. 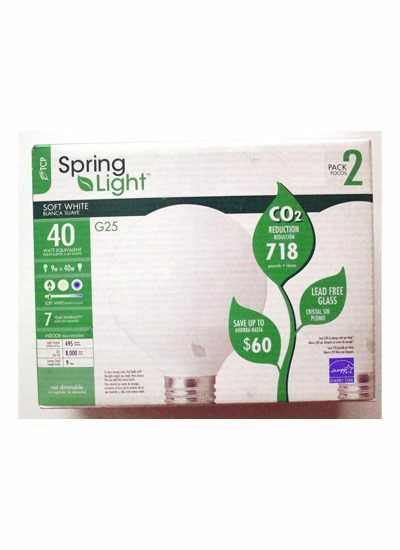 A 22 Watt CFL has about the same light output as a 100 Watt incandescent. At 8 cents per kWh, a single 18 Watt CFL used in place of a 75 Watt incandescent will save about $45.